The following article is not endorsed and/or supported by The American Academy of Anti-Aging Medicine. The purposes of this publication do not imply endorsement and/or support of any author, company or theme related to this article. Since the award of the 2009 Nobel Prize for the discovery of telomerase, the field of telomere biology has grown dramatically. At last count there were more than 20,000 articles in Pub Med, with cancer, stem cells, cardiovascular disease, diabetes, CNS and pulmonary conditions comprising the majority. Clinicians today are increasingly becoming interested in incorporating telomere testing into their practices. This is driven in large part by two converging forces: a growing understanding of the role telomeres play in personalized medicine; and increasing consumer demand for integrative treatment that can slow the aging process. The development of reliable commercial testing now allows for the measurement of individual telomere lengths and quantification of the number of critically short telomeres, both key determinants in overall cellular health. As telomere science moves from the lab to the clinic, measurement of this novel biomarker holds promise for improving early disease identification, risk stratification, treatment algorithms, and health behavior change. The ends of linear chromosomes are capped by telomeres— repeating sections of non-coding DNA TTAGGG units that protect the important areas from degradation. Telomeres shorten after each chromosome replication because the machinery of DNA replication cannot copy the last bit of the lagging strand. When the telomeres become critically short, this triggers a process of replicative senescence whereby further cellular division is normally halted. This avoids the risk of genetic mutations from chromosomal fusions due to “uncapped” chromosomes. In special cells such as stem cells, germ cells and cancer cells, an enzyme called telomerase is highly active. Telomerase is a unique ribonucleoprotein complex consisting of an RNA template (TERC) and a reverse transcriptase catalytic subunit (TERT) that works along with a protein complex called shelterins to lengthen the telomeres. Telomerase is also highly expressed in most human cancer cells. These telomerase-positive cells do not experience telomere shortening with increased cell division, making them immortal. Depending on cell type, the Hayflick limit establis hes the absolute number of cellular divisions in the range of 50-70 times. This governs the upper end of potential cell longevity. With aging, the progressive loss of telomeres continues over the years. To put the numbers in perspective, a fetus in utero may have telomeres with around 15,000 to 20,000 base pairs or 15 to 20 kilobases. By birth this number may be reduced to 10 to 15 kilobases. Over the span of a lifetime, telomeres shorten heterogeneously at rates that vary from 100 to several hundred base pairs per year. 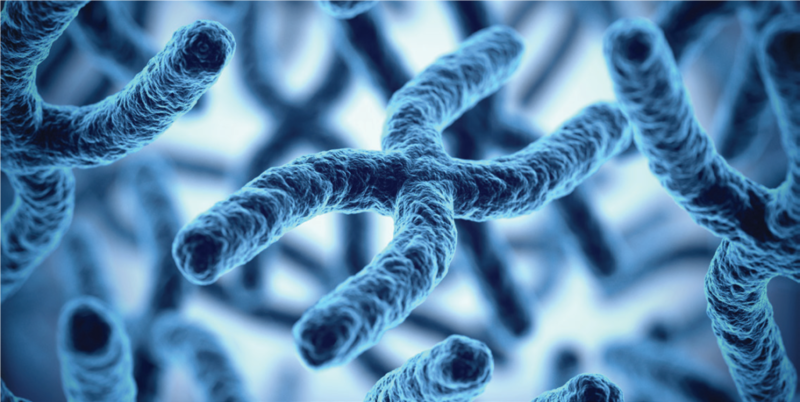 Telomere length provides a marker of the proliferative history of somatic cells, and as such allows for the determination of biological, as opposed to chronological age. Maintaining telomere length involves a number of coordinated activities including the enzyme telomerase and the associated effects of environmental and lifestyle factors. Accelerated telomere attrition is affected by negative health habits such as smoking15, obesity16, excessive alcohol consumption 17, stress and social deprivation18, sedentary habits19 and poor diet20. Q-PCR is based on the DNA amplification signal of single copy genes. This methodology is relatively inexpensive, easily scalable, and has been used in many of the larger epidemiological studies. A significant database exists to compare results and derive statistical validation. The test generates a two-page report plotting the average telomere length on a normative graph. One page of patient recommendations follow. Compared to other modalities, PCR tends to be less accurate and reproducible. The methodology is not directly quantifiable and values are extrapolated from amplification cycles. The largest negative to the use of PCR is that it only provides information as an average of telomere lengths reported as telomere score and does not provide information on the length of the shortest telomeres, the measurement of which is most important clinically. While PCR results can be compared against a large database, biologic age cannot be assessed or inferred from this method. The flow-FISH (fluorescence in situ hybridization) method uses a FACS (fluorescence activated cell sorter) to analyze telomere length in a cell population after hybridization with a fluorescence telomere probe. The methodology is more quantitative and reproducible than QPCR. The test has been employed in genetic counseling. Flow-FISH has been in use long enough to generate a good data base to compare results. Because the test is more labor and time intensive, it is the most expensive methodology of the three. The flow-FISH assay provides accurate and reproducible measurements of mean telomere length from defined blood cell subsets of separate granulocytes and lymphocytes, together with reference values from a set of healthy individuals (currently, according to the company ~400 between a few months and 100 years of age). Similar to Q-PCR, there is no information provided on individual telomere lengths and the analysis of critically short telomeres. Results are reported as a onepage comparison of granulocyte and lymphocyte telomere lengths compared to the 50% norm and also displayed as a graph. 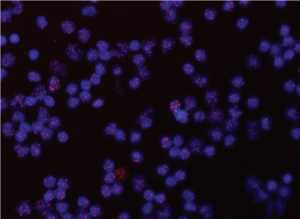 Figure 1: Photomicrograph showing leukocytes (blue dots) and telomeres (pink spots). A higher intensity of fluorescence in the red dots indicates greater telomere length and a lower percentage of short telomeres. (Source: Life Length, patient report) Telomere Analysis Technology® (TAT®) based on HT Q-FISH is derived from quantitative fluorescence in situ hybridization augmented with digital confocal microscopy to access large populations of individual cells (Figure 1). Approximately 100,000 individual telomeres are measured in each blood sample. The technology was initially developed at the Spanish National Cancer Research.30 The accuracy and reproducibility of TAT is superior to flow-FISH with coefficients of variation below 5%. The database of test results has expanded, given that this technology has become the scientific standard in Europe. TAT with confocal microscopy is the only technology that can measure individual chromosomes, assess the presence of critically short telomeres and determine biological age. In addition, test pricing approximates the cost for Q-PCR. 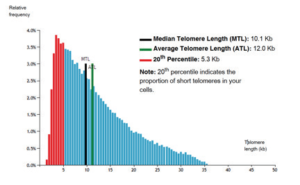 A detailed six-page patient report provides both median and average telomere lengths as well as detailing the numbers and percent of critically short telomeres as represented by the lowest 20th percentile (Figure 2). Telomapping (US Patent No 8,084,203 B2) has recently been eveloped to determine the telomere lengths on chromosomes from tissue sections. Fixed tissue sections are used to determine the degree of short telomeres within specific cell types in the tissue. testing of anti-cancer agents. In addition to assessing cancer activity, telomerase measurement may be able to help substantiate anti-aging effects from lifestyle and nutraceutical interventions. Reliable telomere tests are now available commercially. Currently, there is no reimbursement for these tests, so patients must pay out of pocket. Given the cost it is important that the test provide the most clinically relevant data: the number of individual cells bearing critically short telomeres. Regardless of the test you employ, it is important to remember that white blood cells vary with the patient’s health status. Testing a patient with an acute or unstable condition may affect both the numbers of cells and their telomere length. Perhaps the greatest value of telomere testing is in obtaining serial measurements by incorporating it as part of an annual health status assessment. It is like a report card, letting both the physician and the patient know how well the total intervention and program is working. This requires two pieces of data: 1) the number and percent of critically short telomeres and, 2) the rate of telomere attrition. Annual snapshots may also serve as powerful lifestyle behavior change motivators or as tools to enhance treatment adherence. The ever-increasing body of telomere-based research provides deeper understanding of the critical role telomere attrition plays in the aging process. More specifically, the ability to measure critically short telomeres in individual cells provides the key determinant of cellular health and senescence. As we seek to limit cellular damage through environmental, lifestyle and supplementary modifications, we now have a method of assessing long-term progress. Assessing telomere length can also aid in the detection and prognosis of certain diseases. New tests for telomerase and tissues appear promising. As the data grow and the link between telomere length to disease and prevention becomes more established, so too will telomere testing become the standard of care for anti-aging. Disclosure: Dr. Tager is a consultant for Life Length. 1. Hayflick L, Moorhead PS (1961). The limited in vitro lifetime of human diploid cell strains. Exp. 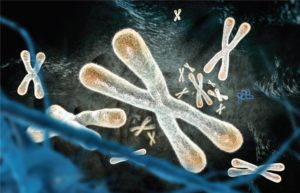 telomere length, is critical for cell viability and chromosome stability. Cell 107:67-77. 5. Shay J, Are short telomeres predictive of cancer? Cancer Discov; 3(10); 1096–8. population-based study. Ann Rheum Dis.2006; 65: 1444-8.
mortality. Arch Neurol.2012; 69: 1332-9.
review and meta-analysis. BMJ.2014; 349: g4227. doi: 10.1136/bmj.g4227. cohort study and literature-based meta-analysis. PLoSOne. 2014 Nov 12;9(11):e112483. hereditary breast cancer. PLoSGenet.2011 Jul; 7(7): e1002182. Study. Am J Hum Biol. 2011; 23: 100-106.
cellular aging. MolPsychiatry.2012; 17: 719-27. 20. Paul L. Diet, nutrition and telomere length. J NutrBiochem. 2011; 22: 895-901.
telomeres. Ann N Y Acad Sci. 2009 Aug; 1172: 34–53. aged telomerase-deficient mice. Nature 469:102-106.
without increasing cancer risk. Aging Cell: 4:604-621. 28. Daniali L. et al. Telomeres shorten at equivalent rates in somatic tissues of adults. Nat. Commun. 29. Benetos A, et. al. Short telomeres are associated with atherosclerosis in hypertensive subjects. disease dyskeratosis congenita. Nature 402:551-555. Acad Sci U S A. 104:7552-7557.